The participation in the Scientific Programme events of the Congress is free of charge for registered participants. 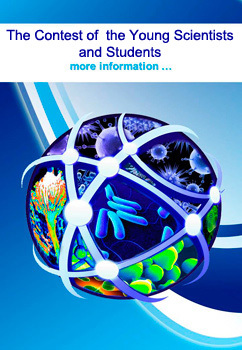 The Preliminary online registration is obligatory and available via site http://www.mycology.szgmu.ru/registration-eng. An individual barcode will be sent to each on-line registered participant on or prior to 1 week before the Congress in order to allow receiving a badge and the Congress materials in the Congress activity days. The participant should bring the printed barcode to the congress venue. Barcode allows to print the personal badge by scanning the barcode in the registration points during 12-15 June, 2019. A personal badge is valid for all days of the Congress (12-15 June, 2019) and will get you access to all events of the Scientific Programme and will be used for participants activities evaluation during the Congress for obtaining a certificate of continuing medical education (CME) of Russian Federation. The Organizing Committee doesn’t provide any financial support to participants. Abstracts of the Congress will be published in the journal «Problems in Medical Mycology».